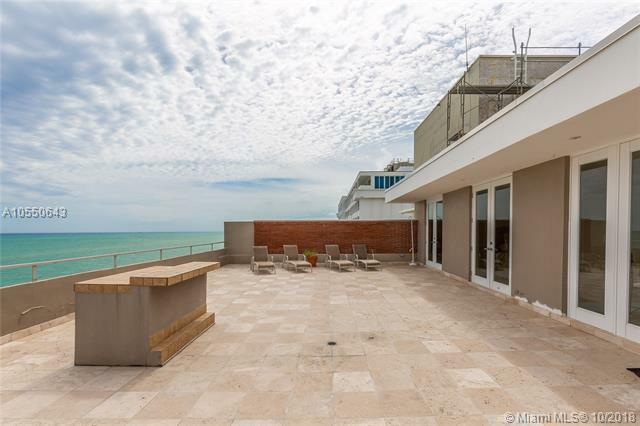 UNIQUE OPPORTUNITY TO BUY RARELY AVAILABLE GORGEOUS PENTHOUSE UNIT ON MILLIONAIRES ROW. 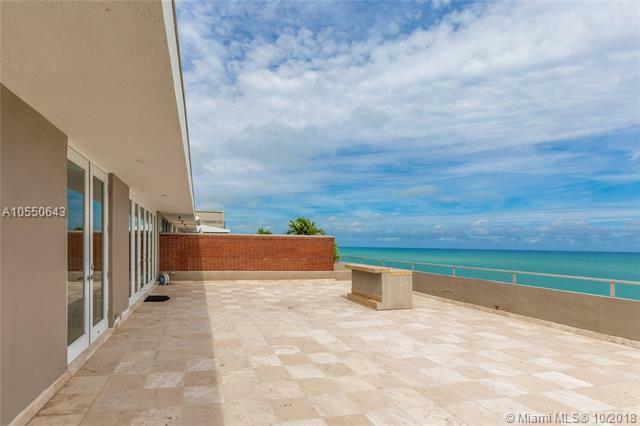 THIS OCEANFRONT MASTERPIECE WAS ENTIRELY RENOVATED WITH THE FINEST MATERIALS AND NO EXPENSE HAS BEEN SPARED. THE APARTMENT HAS A HUGE 1000+ SQ FT TERRACE FOR ENTERTAINING & SUNBATHING. 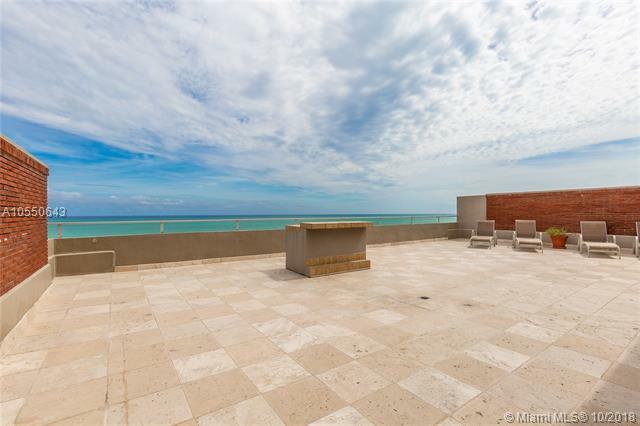 OCEAN VIEWS FROM EVERY ROOM, FLOOR TO CEILING WINDOWS, GREAT CLOSET SPACE, CUSTOM KITCHEN, LUXURIOUS BATHROOMS AND MARBLE FLOORS THROUGHOUT. 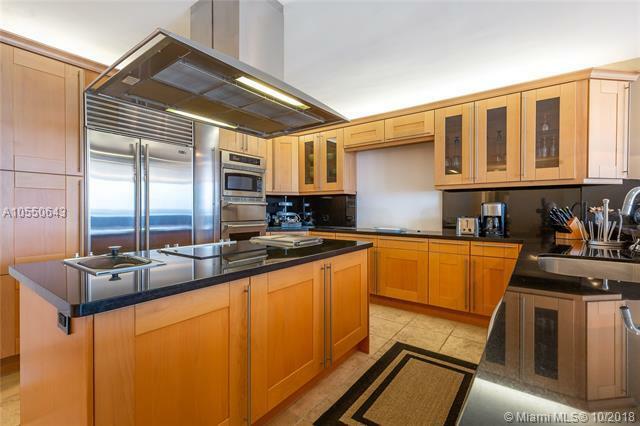 OPEN GOURMET KITCHEN WITH OVERSIZED ISLAND SURE TO PLEASE THE MOST DISCERNING CHEF, THERMADOR, GAGGENAU & SUB-ZERO APPLIANCES. RESORT STYLE AMENITIES INCLUDING SAUNA, STEAM, BASKETBALL, RACKETBALL, GYM, TENNIS, POOL, BILLIARD ROOM, VALET AND 24 HR SECURITY AND MORE!!! BUILDING HAS RESERVES. PERFECT PLACE TO CALL HOME, FURNITURE INCLUDED, JUST BRING YOUR TOOTHBRUSH!!!!! Listing courtesy of Finite Real Estate Corp.